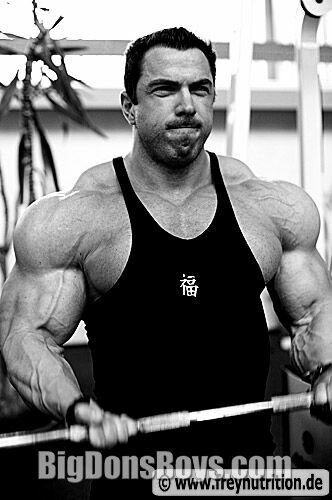 6'1" German bodybuilder Andreas Frey began working out and playing sports when he was very young. He liked weightlifting and bodybuilding so his parents encouraged him, especially his father who said he had "good genetics." Talk about complimenting yourself! 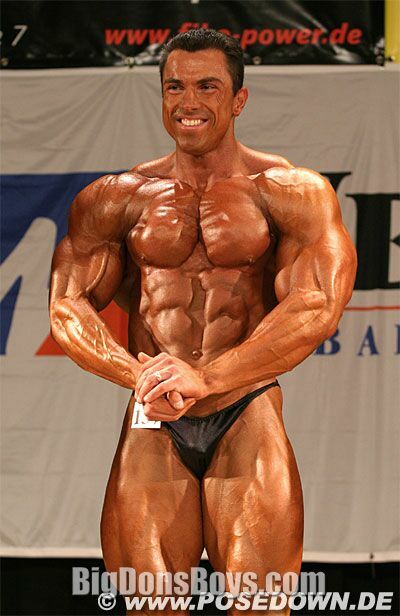 After only six months of regular training he entered his first bodybuilding contest at age 15. He liked that experience and it motivated him to keep training and competing. 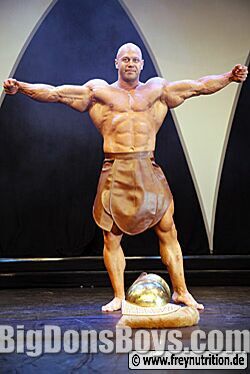 Since then he has been in several bodybuilding championships and enjoys the preparation and discipline they require. But bodybuilding is only his hobby. He is studying economics with plans to become a teacher. Throughout everything his parents and family have supported him and that means a lot to him. 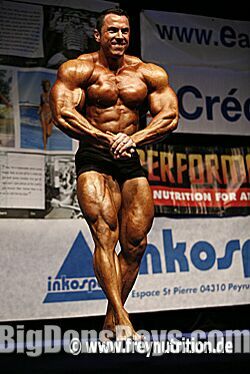 And unlike some bodybuilders who can never settle down Andreas has been inseparable from Ina, his girlfriend of many years.Andreas also has an attractive and up-to-date web page at the link below. But beware, it is in German only. Andreas guest poses at about 300 pounds! 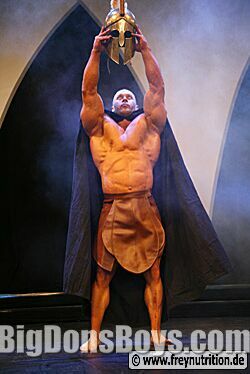 Guest posing is when a bodybuilder is paid to perform at a contest but is not in the contest.